Globally Facebook earns an estimated Rs 1100 per annum through sponsored posts and advertisements per user. This earning is three times as compared to the previous four years. Facebook is earning a surplus from the US and Canada regions. Which is more than four thousand rupees per user annually. 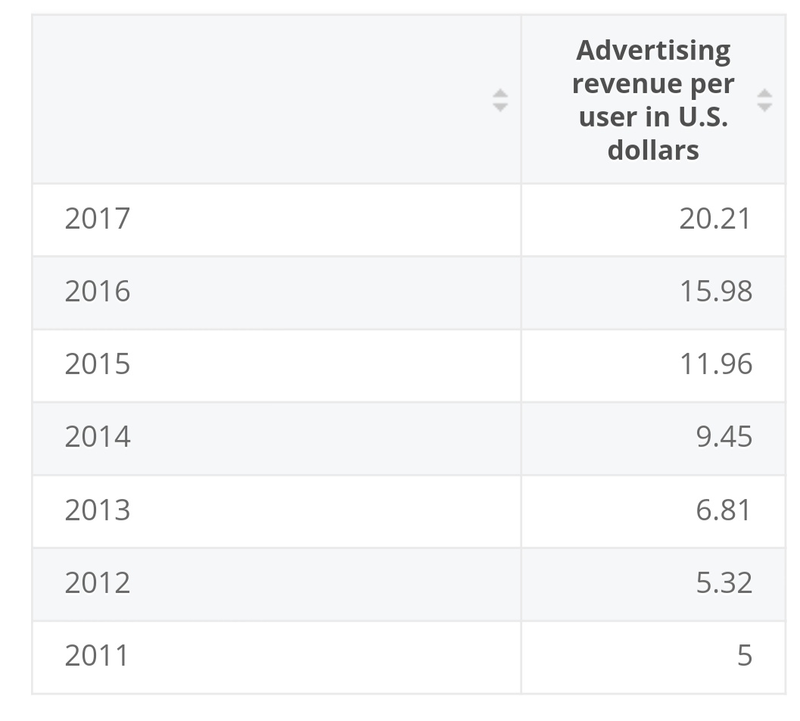 This statistic shows facebook's average advertising revenue per user was 20.21 U.S. dollars. 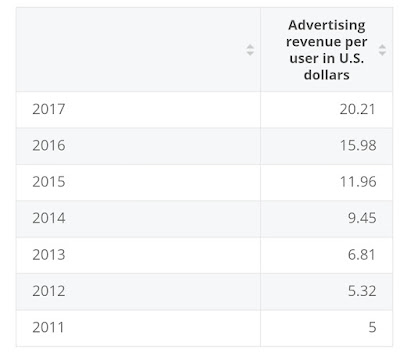 The social network's advertising revenue in 2017 was 39.9 billion U.S. dollars. 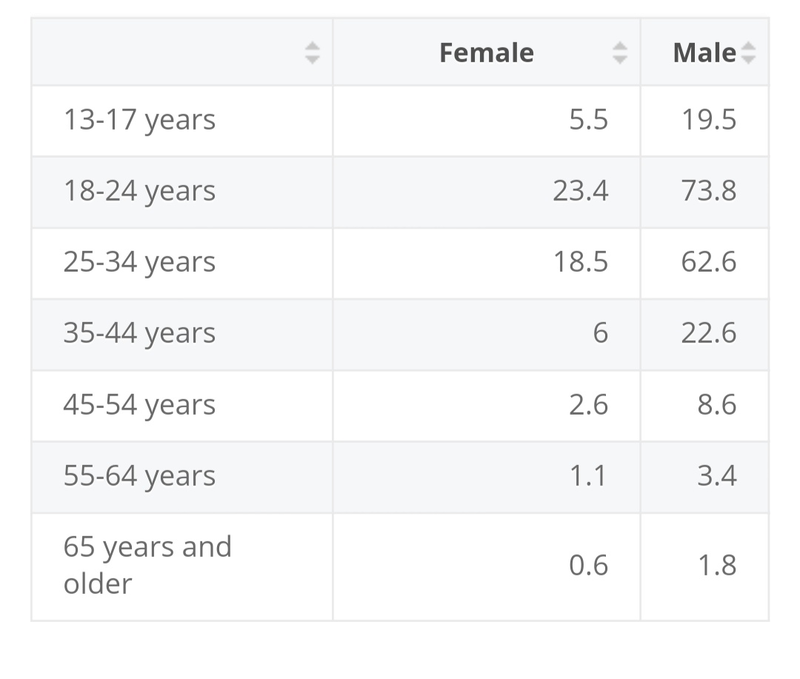 Facebook users across India as of January 2018, broken down by age and gender. The highest number of male Facebook users during the measured period were between 18 and 24 years old and amounted to about 73.8 million. 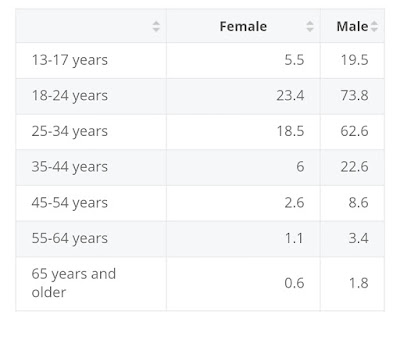 Among females, the highest number of the user were the same age group, amounting to about 23.4 million.